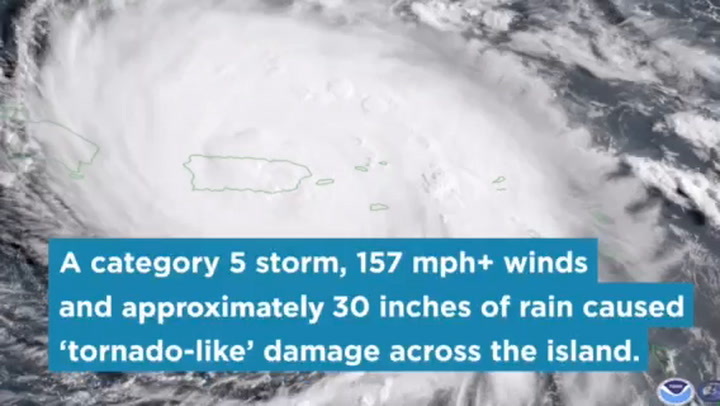 On September 20th, 2017, Hurricane Maria made landfall in Puerto Rico. During the strongest storm the island had seen in 85 years, 155 mph winds brought total devastation to the 3.4 million residents of the Caribbean island. Within a matter of hours, their power was cut, their land flooded, and their homes and livelihoods destroyed. Following the hurricane, volunteer teams from around the world worked alongside Puerto Rican communities – together battling stifling heat and humidity to clear roads, reopen schools, restore basic amenities, and rebuild homes. This is one team’s story. Access to clean running water was one of the most urgent challenges facing Puerto Ricans in the aftermath of Maria. Without a safe drinking water supply, families resorted to drawing water from wells polluted with industrial chemicals, or from streams contaminated with sewage and dead animals. Although Maria had moved on, serious risks to the health of communities across the island remained. Responding to the crisis, the non-profit organization Planet Water Foundation partnered with global water technology company Xylem to send a team of volunteers to Puerto Rico. Their mission was to build water towers in some of the most damaged places on the island – technology that would bring safe, clean water to communities most in need. Planet Water works in some of the most challenging conditions across the globe, helping to bring lifesaving supplies of clean water to communities in need. The organization’s goal is to highlight the issue of water security and spark conversation about sustainable water management, combining the installation of water technologies with education to effect long-term change in water-scarce communities. In 2018, Planet Water will complete its 1,000th project, representing a milestone 1 million people who have benefitted from the organization’s work. These efforts are heavily reliant on funding from private sector organizations such as Xylem, a long-standing Planet Water partner. Through the Puerto Rico mission and other similar initiatives, Xylem and Planet Water have positively impacted the lives of close to 300,000 people, providing them with clean water for a generation, fueled by AquaTowers. As always, much work has yet to be done to support communities impacted by water scarcity. Every financial contribution – big and small – can help save lives. Anyone that wishes to donate can do so here. Arriving in Puerto Rico, the six team members who had quickly downed tools to join the mission knew little about what to expect. Some had volunteered in disaster-hit areas previously. Most hadn’t. All were immediately struck by the extent of the devastation. Thousands of buildings - including homes, hospitals and schools - completely destroyed. Collapsed bridges. Huge swathes of precious agricultural land flooded. And an alarming scarcity of water, food, gas and electricity. In spite of the conditions, Nate and the team were humbled by the resilience of the stricken communities from the moment they arrived in Puerto Rico. Even in the face of an estimated $100 billion of damage, their determination to rebuild never wavered. Something else that the team noticed was just how communities rallied together while they waited on aid - people left with nothing found the time to help others in need. In one mountainous community, where hundreds were trapped in their homes, Senior Application Engineer Hunter Powell describes how heartening it was to see a group of young local people take it upon themselves to cook free lunches for up to 400 people every day, using only camping equipment. In the aftermath of the hurricane, some residents had access to donated bottled water, but it was running water they needed. Some were so desperate for water they resorted to drinking from contaminated sources. The volunteer team was tasked with building twelve water towers, each tower providing 10,000 liters of clean drinking water every day to sustain up to 1,000 people. One of the last sites the team worked at was in an isolated part of the island where people were desperately waiting for help to arrive. “We all take water for granted. Living in the United States we have a privileged life. But when you go to a place where they don’t have as much as we do, and then the rest is ripped from under them, it’s humbling to see them be so thankful, to be so excited to have such a basic human need given to them”. “There were communities with up to 15,000 people without power. And they had been told they’re not going to have power until next year at the earliest. Because of that, they were just abandoning their homes, their cars and dogs. Getting on airplanes and going to Miami to be with family. Just abandoning Puerto Rico all together. To see the devastation and destruction first hand, it’s reminded me of what we all have”. Two months on, the communities where water towers have been installed have regained a degree of independence. With a clean and safe water supply, they no longer need to rely on bottled water. While the island is only beginning its road to recovery, some Puerto Ricans are finding solace in how this catastrophic event has brought the community together. Residents spoke about how the hurricane may lead to some positive outcomes in the long-term, as it has brought pre-existing challenges to the fore, and united communities. Mainor Vega is a Sales Manager with Xylem’s treatment business based in Palm Beach County in Florida. He had visited Puerto Rico previously and was anxious to lend his support to the relief effort. "Things were in shambles in Puerto Rico. Joining the trip just seemed like the right thing to do." Hunter Powell is a Senior Applications Engineer with Xylem. Hearing the children in Puerto Rico chant “agua!” was a reminder for him of the impact the team was having by bringing clean water. Nate Warren is a Market Manager and Sales Engineer for Xylem based in Los Angeles. What struck him most on the first day of the trip was how the communities banded together. He knew he had to help. Richard Barg is a Toronto-based Market Development Manager for Xylem. He was touched by the local people's passion and determination to rebuild. "They called us angels because we were providing them with clean, safe water for the first time." Tim Main is a Marketing Manager with Xylem in Vancouver. His experience in Puerto Rico was eye opening. He hopes that Maria will encourage the country to build better infrastructure for the future. Blake Buster is an industrial mechanic in Xylem's Dallas branch. He realized that by joining the relief effort, he could alleviate some of the stress of residents at risk from contaminated water.